Learn More about Your Type! 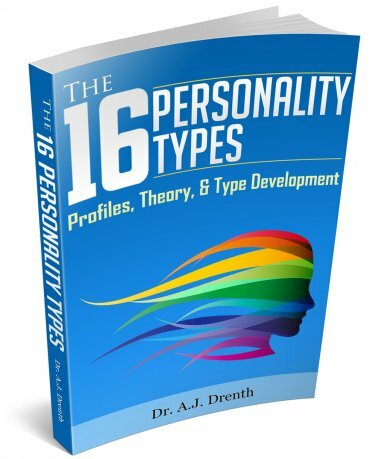 This book is a handy compendium of our personality type profiles, including expanded descriptions of the INFP, INFJ, and INTJ types. It also features new material on type theory, the inferior function, and type development. 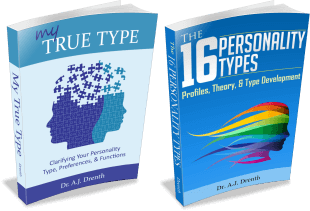 Readers are encouraged to study it in conjunction with our other book, My True Type. The book's print length is 228 pages. Like our other eBooks, it is fully compatible with all devices, including Apple & Kindle products. "Best Book on the Subject. Illuminating." "I've read a lot about Myers Briggs personality types and this is the best book that I have ever found on the subject... I learned a lot more about my own type as well as my girlfriend’s type. I also found the quality of the writing to be clear and illuminating. The book took me to a deeper level of understanding of type dynamics and for the most part, without losing me." "Useful Material I Haven't Read Elsewhere"
"I’ve been studying type on and off for a couple of years now, but I’ve never delved that seriously into all the type functions. This book really lays it out well… Overall, it is excellent and at just the right price." 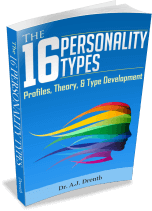 "This is an excellent book on personality type. It explains type theory in a way that is accessible and close to the original intent of Jung’s theory. While most books explain type as a mere sum of the four letters, this book emphasizes the functions and their ordering… If you want a clear, thorough, and holistic approach to type, search no longer, you have found your book." "The Most Insightful Type Descriptions"
"These are the most accurate and insightful type descriptions I have encountered to date. I especially appreciated the profile describing my own type (INFJ). It alone made the book worthwhile."